We cannot emphasize enough how important it is to have smoke detectors placed in your home in Charlotte. Your smoke detectors are one of the most important items in your home. 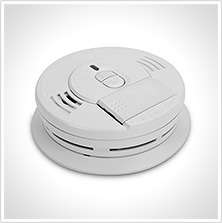 They are designed to warn you against potential threats caused by fire and smoke that could put your family in danger. At Mister Sparky by Wise Electric Control Inc., we cannot emphasize enough how important it is to have smoke detectors placed in your home in Charlotte, North Carolina. If you have questions about proper usage, we are your go-to team for answers and installation. Placement – If you are building a new home, going through a remodeling project, or simply have questions about where your smoke detectors should be installed, our professionals can answer your questions about the best placement for smoke detectors, so you feel confident knowing your family is protected. Installation – Do you need assistance installing smoke detectors in the proper locations throughout your home? It’s important to have a knowledgeable professional ensure that the wiring and devices are installed correctly. Our team can assist with smoke detector installation, so your devices are working as they should. Repair – Are you having problems with your smoke detectors, and even though they are installed, they don’t work? When you need to repair your smoke detectors, our team can check the underlying wiring, batteries, and other internal components that will get your smoke detectors working again. Contact us at Mister Sparky by Wise Electric Control Inc. when you need assistance with the smoke detectors in your home. Our team will be happy to assist you with all your electrical needs! At Mister Sparky by Wise Electric Control Inc., we offer services for smoke detectors in Charlotte, North Carolina and all surrounding areas, including (but not limited to) Cherryville, Concord, Cornelius, Davidson, Denver, Gastonia, Huntersville, Indian Trail, Matthews, Mooresville, Troutman, Hickory, Lenoir, Newton, Sherrills Ford, Morganton, Terrell, and Statesville.